For the former station launched in 1993, see Absolute Radio. 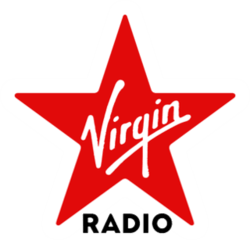 Virgin Radio UK is a national radio station in the United Kingdom that launched on 30 March 2016, owned by Wireless Group. It is the second incarnation of Virgin Radio in the UK, having originally launched in 1993, before being rebranded as Absolute Radio in 2008. Weekday presenters include Edith Bowman, Jamie East, Kate Lawler, Matt Richardson and Tim Cocker. The weekend line-up will include Russell Kane & Angela Scanlon presenting That Saturday Show, Christian Williams, Ben Jones, Jon Jackson, Johnny & Inel, The Mac Twins, Danny Mylo & Rosie Madison, Best of Total Access with Elliot Holman and Georgie Rogers. The station launched at 11:00am on 30 March 2016 on a Virgin Train by Bowman and Richardson and the first song played was a live cover version of David Bowie's song Changes by Gavin James. Virgin Radio UK broadcast at launch to c.75% of the UK population via the Sound Digital DAB ensemble, and also broadcasts via Online Streaming to computers, mobile device applications and Internet Radios. ↑ "Edith Bowman for breakfast at Virgin Radio". RadioToday. 10 February 2016. Retrieved 11 February 2016.